The New York initiative is spart of WFS’ program to provide coordinated cold chain handling services which secure product integrity and ensure patient safety. 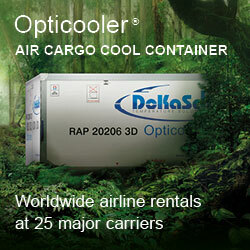 It is fully in line with Swiss WorldCargo’s product strategy to deliver premium pharma services to their customers. Two cargo players, one thought: to deliver first class pharma services to the market. Done so in New York where the ground handler and the cargo carrier jointly opened the first GDP (Good Distribution Practice) compliant pharma facility after achieving certification of the Swiss managed Building 66 at JFK airport. 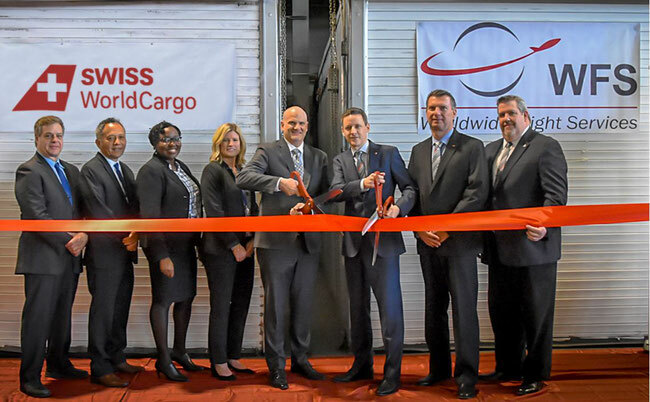 On the occasion of the project’s launch Swiss WorldCargo’s Head of Northeast-/Midwest USA and Canada Michael Ganz reminded that the JFK facility eliminates a blank spot on the carrier‘s global map of Good Distribution Practice compliant pharma locations. “This latest addition of GDP-compliant facilities allows us to offer additional quality corridors to our pharma and healthcare customers. The certification of our boutique-like single-airline facility in New York further strengthens our position as a global quality leader,” stated the manager. His assessment is reinforced by the carrier’s top management. According to Cargo Chief Ashwin Bhat and his team the opening of the JFK pharma facility closely aligns with key Swiss WorldCargo values of customer focus and quality care. In a release the airline points out that in 2018 the freight carrier received a global CEIV certification, which ensures that the company adheres to the highest standards of pharmaceutical handling globally. “The airline remains committed to providing the highest standards at its stations worldwide,“ reads the release. With three daily transatlantic flights taking from Zurich (2) and Geneva, JFK is an important North America-gateway for Swiss WorldCargo. 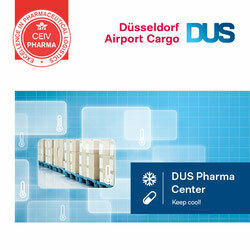 Similar to Swiss WorldCargo, ground handler WFS is also highly satisfied with the joint pharmaceutical project. The company points out that the GDP certification confirms their compliance with World Health Organization (WHO), IATA, and Parenteral Drug Association (PDA) quality standards for handling pharmaceutical and life science products, as well as with Service Level Agreements signed with individual airline customers in New York. In addition to this WFS has signed a 15-year lease on a new state- of-the-art, 346,000 square feet cargo terminal at JFK. The facility, which will have a throughput capacity of over 300,000 tons a year, will offer improved cargo flows and reduced transfer times as well as shorter truck waiting times. It will incorporate the latest security and screening systems and procedures. It also will house dedicated facilities for temperature-sensitive pharmaceutical products and perishables cargo when it opens in 2020/21. Might play a nagative impact on uk pharma .